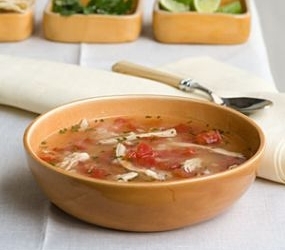 Canja com Arroz is a Brazilian Food Recipe for chicken rice soup with homemade broth. For the broth, place the chicken, celery stalks, carrot, onion, parsley, salt, pepper, and water in large saucepan or stockpot and bring to a boil. Reduce heat, cover, and simmer for 1½ hours. Using a colander, strain broth into a bowl. Set chicken pieces aside and discard cooked vegetables. 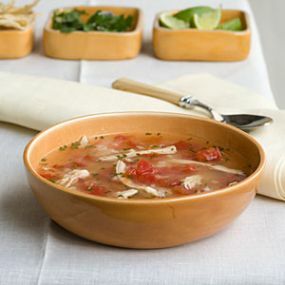 Return liquid and chicken to pot, and add the diced celery, diced carrots, parsnip, tomato, rice, and basil. Serve hot, garnished with chopped parsley or chives.